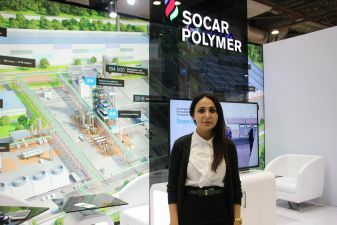 - We have repeatedly participated in the Caspian Ecology exhibition, but a feature of this year is that the first SOCAR Polymer plant for the production of polypropylene has already begun to produce products for export. The next step is the second polyethylene production plant built under the SOCAR Polymer project in the territory of Sumgayit Chemical Industrial Park. The environmental aspects of the operation of these plants are monitored by international obligations under the Equator Principles. This is a set of standards for identifying, assessing and managing social and environmental risks in project financing. Equator principles were developed by leading private banks, such as Citigroup, Barclays, ABN AMRO, and WestLB, and if any company is not going to or cannot comply with social responsibility and environmental impact standards, it does not receive credits for the project. In addition to fulfilling these commitments, we conduct an environmental analysis of the soil, air and water on a monthly basis in accordance with international and local standards, and we have good performance. In general, no environmental incidents were recorded. Note that at the beginning of the construction of the plants, SOCAR Polymer allocated significant funds to clean up the land at the site where the enterprises were located, where the old chemical plant used to be, in some areas it was necessary to change the soil. In general, the new facilities built by SOCAR Polymer use modern European technologies in production, which has a positive effect on the environmental situation.